We all know stamps can be valuable. Over the years, there have been multiple cases of a stamp selling for over a million dollars at an auction. Realistically, none of us can expect to have a stamp of that caliber on our hands. However, it’s entirely possible that you are in possession of a rare stamp, which is why it’s so important to know how to find a stamp’s value. 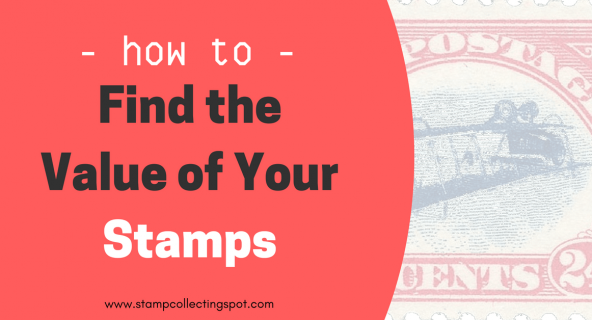 My hope is that the information and resources in this guide will help you to evaluate any stamp you come across. Note: since there are so many variables that come into play when it comes to finding your stamps’ values, many statements expressed throughout this article are generalizations and have exceptions. The vast majority of stamps are worth pennies. Rare stamps are few and far between – very few collections contain any. Most modern stamps from the United States, (spanning back to the 1930s or so), were issued in quantities that far exceeded collector demand. There are an estimated 20 million stamp collectors worldwide, but most stamps were issued in quantities of 100 million or more. In general, unused stamps issued in roughly the past 80 years are worth face value or less and can be used for postage without worry. For the most part, used stamps of the same age have virtually no monetary value, but they are still fun to collect. As for stamps issued prior to the ‘30s, there is a greater chance of them having some value, but still, most were issued in large quantities and carry little value. There are multiple resources available for identifying stamps, but physical reference books are the most widely used. In the United States, Scott Postage Stamp Catalogs are the most popular reference books used by collectors. Before using a Scott catalog, I would recommend reading through the introduction to familiarize yourself with how the catalog works. There is definitely a learning curve when it comes to finding your stamp in the catalog, but this can only be helped through lots of practice. 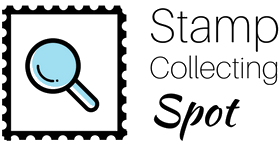 If you do not have a catalog or you cannot find your stamp listed, you can ask for assistance on a stamp forum (here are some good ones). Make sure to include a very clear image of your stamp when asking for help with identification. Once you identify your stamp and note its catalog number, it’s time to determine its real market value. The value of a stamp is based off of a number of factors. These include condition, centering, whether it’s used or unused, and market demand. No gum – if the reverse side of the stamp has no adhesive gum, it is considered “mint, no gum”. Regummed – if someone applied new gum to the reverse of a stamp, it is considered regummed. It can be very difficult to identify a regummed stamp, but the best quick and dirty way to do so is to look at the tips of the perforations. If they look gum-soaked, that’s a good indication that the stamp was regummed. Here is some excellent information from the Philatelic Foundation on regummed stamps. Never Hinged – A never hinged stamp has full, original gum and no hinge mark or remnant on the reverse. A stamp in this condition is more desirable than the same stamp hinged, regummed, or without gum. For more information on hinged vs. never hinged stamps, check out this post. Centering – centering refers to how well a stamp’s design is centered within the perforations. A stamp with good centering has well-balanced margins. Below is a handy chart which shows different stamp grades (the better the centering, the higher the “grade”). 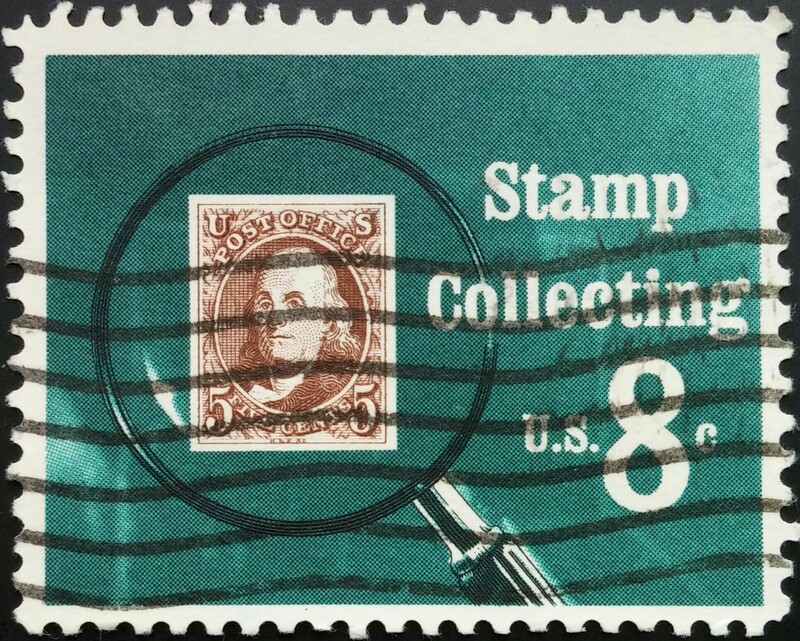 Well-centered stamps command a higher value than their poorly-centered counterparts. This post provides more detailed information on exactly how to find a stamp’s grade. In the search bar, enter the catalog number of your stamp (if you are in the main Stamps category, also enter the country where your stamp was issued). Towards the end of the left sidebar, click the option to show only sold listings. Compare your stamp to the results. It is vitally important to find a stamp that is similar to yours in all respects – condition, centering, used or unused. If you cannot find any that are similar to yours, you should still be able to get a rough estimate if you remember that faults and poor centering mean a lower value. Remember to take into account eBay and PayPal fees (between 10-15% of the sale price). And there you go! You have now found your stamp’s value.